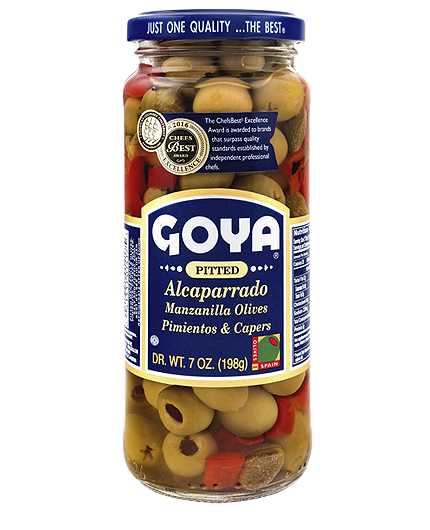 GOYA® Alcaparrado arises from the perfect union between Manzanilla olives, roasted pimientos and premium quality capers which, without a doubt, will provide your casseroles with a distinguished flavor. 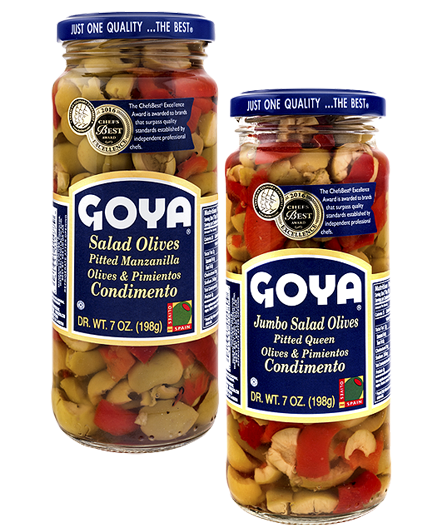 Goya Spain only selects the best raw ingredients, thus meeting the highest standards required by the brand in order to offer the best culinary experience. 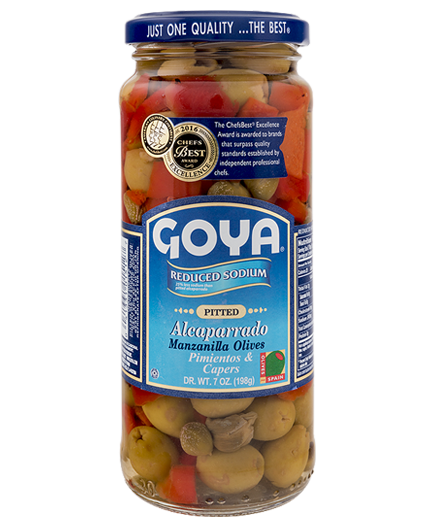 GOYA® Alcaparrado is both a very traditional condiment for using in casseroles, rice dishes, in the oven, with roasted meat, while also versatile, for its use in sauces or as stuffing. 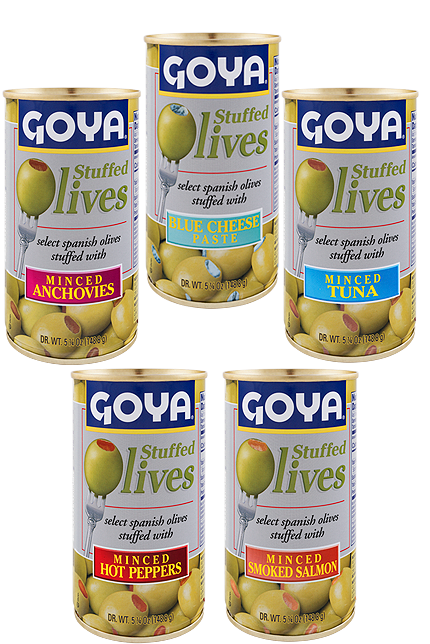 It pairs perfectly with rice, chicken or beef casseroles. 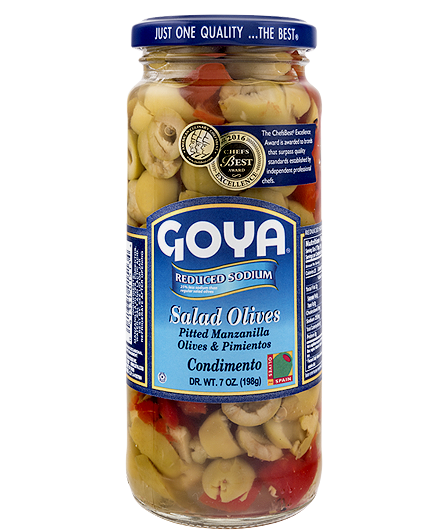 Unlike other packaging companies that use pepper paste, and with the main objective being to ensure the unique taste and aroma which defines us, we prepare GOYA® Alcaparrado with natural roasted pimientos. 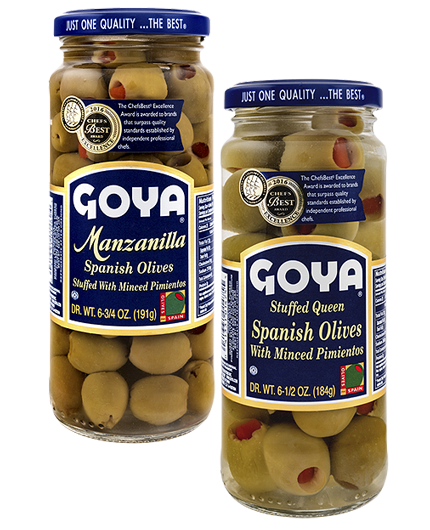 For its preparation, we likewise use first-rate Manzanilla olives, whole, or pitted as is the case for our GOYA® pitted Alcaparrado. 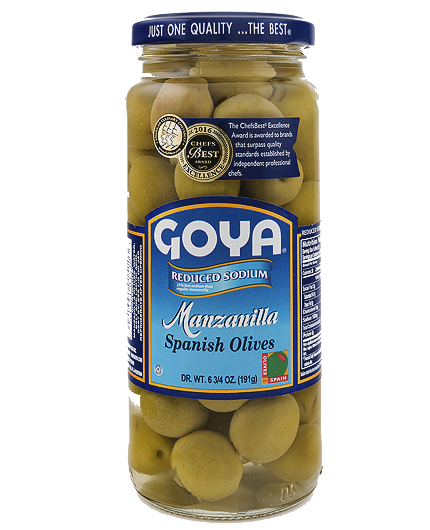 Similarly, the capers chosen for this cocktail are of maximum quality, that is to say smaller than those used by other brands. 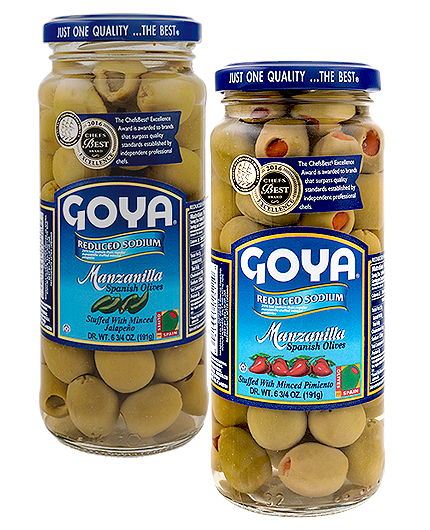 This singularity guarantees their firm texture. 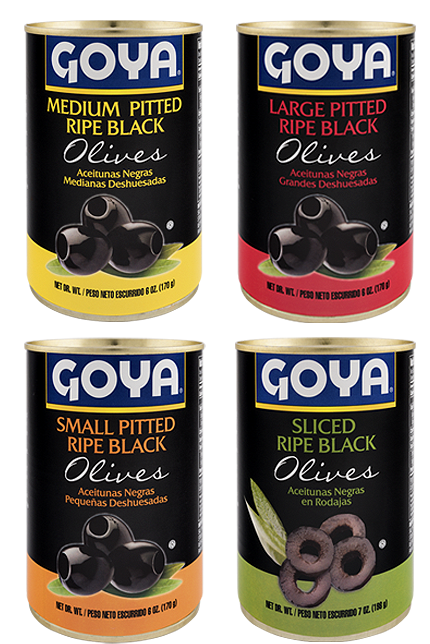 All of this makes GOYA® Alcaparrado a healthy and nutritious food. 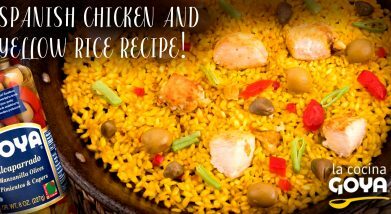 Its three ingredients are foods that provide fiber, folate, vitamins, antioxidants, and above all, vitamin C.
Spanish Chicken and Yellow Rice Recipe!Rice with chicken is the ideal dish to eat well and healthy. 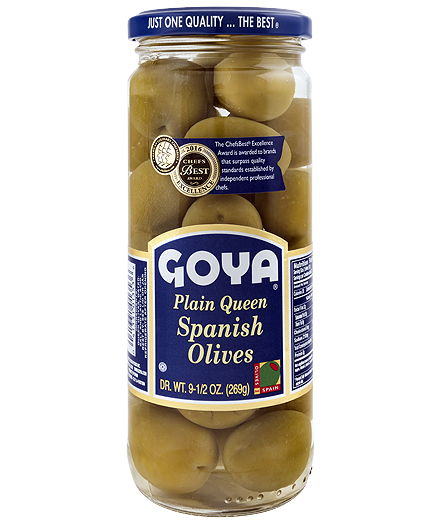 It will become a fixed reference in the family menu, due to its high nutritional level. 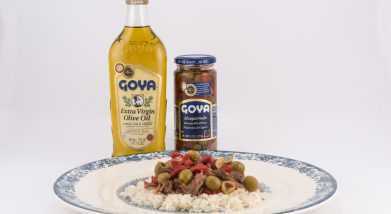 Classic Picadillo Recipe!Elaboration:Ground beef, creole sauce, raisins and GOYA® Alcaparrado are the main players in this unique picadillo.